Mir Khalil ur Rehman [Founder of Jang Group of Newspapers] cannot forgiven for his and Jang Group's dirty role played during the Sindhi Language Bill in 70s, Mumtaz Bhutto ignited the fire and Mir Khalil ur Rehman added fuel to the fire by lending Top Banner Heading to that rabid maniac Raees Amrohvi "Urdu Ka Janaza Hai Zara Dhoom Say Niklay" and this kind of sensationalism caused irreparable damage to the innocent people of Sindh. It is almost certain, and a senior Sindhi politician who knows the PPP and Sindh like the back of his own right hand, openly admits, that for Zardari there would be no “Sindh Card”, as it was available to Benazir Bhutto. In fact when I asked the Sindhi politician what may happen in Sindh, and the heart of PPP country, if Zardari and his 12 friends were removed from their offices, the answer was: “Only these 13 people will protest, no one else will. ” He explained that there are no PPP cadres with fires in their belly left in the interior of Sindh who would rise for Zardari. The feeling in some PPP circles is that if the NRO strikes at Zardari and his cronies, rural Sindh, where the PPP has grass root support for the Bhuttos, would not react as fiercely as many predict it would. This may be so because Zardari and his Sindhi friends, who were never part of the Benazir circle, have generated enough ill will and animosity in the last 18 months. Shaeen Sehbai is forgetting one thing in all this that Akbar Bugti was never a Baluch Nationalist but his dead body ignited so much storm that Baluchistan is burning and with it innocent citizens [every ethnic group] as well. 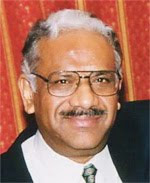 Shaheen Sehbai and other analysts of Jang Group just for the sake of get Asif Ali Zardari forgetting that Assumption [Analysis of Saheen Sehbai above] is the mother of all mess. ISLAMABAD: President Asif Ali Zardari has apparently improved as a leader as compared to how I found him in my three previous interactions. He appears more sombre than before, is no more a chatterer as he used to be, admits mistakes unlike the past, rarely uses the expression “I” that has been the trait of his monologue, and above all sounds practical. Meeting the president for two hours along with a group of journalists and columnists and dining together in the Presidential palace on Monday night turned out to be a pleasant surprise. It is not that the man sitting in the Presidency would change the destiny of Pakistan and bring prosperity and happiness in the lives of its people, but this meeting has helped me dispel some serious apprehensions that I had in my mind about Mr Asif Ali Zardari. Though it was an off the record and a background discussion, President Zardari proved himself to be a disappointing source of information for the media. Despite being assured that he would not be quoted, he did not share any startling information. For news gatherers it was a boring occasion. But I have quite a few reasons to come out of the Presidency a satisfied man. One comforting aspect of the meeting was that President Zardari desires to give every chance to the ongoing peace process in Swat and is not influenced by the internal and external pressures to rescind the agreement. On this particular issue, he is patient and has the realization that the military option would be the last resort because it would mean deaths and killings including those of innocents. He wants to give Maulana Sufi Muhammad every chance to honour his words and is confident to persuade Washington during his forthcoming visit as to why the peace deal is so crucial and must be allowed to succeed. My previous three interactions with Mr Asif Ali Zardari since Nov 4, 2007, one in Dubai at his residence to which he also referred in the Monday’s meeting and two in Islamabad after the Feb 18, 2008 elections, did not go so well as on almost each occasion we ended up in a verbal clash. He used to be talkative to such a limit that he would not allow others to speak their mind. His philosophy, his reasoning and his arguments were not convincing, at times incomprehensible. He also used to sound arrogant, at times degrading others. But the Zardari I met and observed on Monday is an improved version of his past. I am not sure whether he has been counseled for this or was acting like an experienced man but what we all saw was that now he listens to others too and does not sound arrogant as he used to be. He admitted that he had made mistakes and could have done better than what he and his government actually did. He did not contest to the general impression that there seems to be no government in Islamabad as the good governance remains a far cry. But he assures that things would improve and insists that the present situation is the outcome of a peculiar background. During the recent months, I have been conveyed by quite a few that President Zardari does not like me because of my critical writings. I know that General Musharraf also had similar feelings for me. But the difference between the two is that one still opted to interact with me. Even otherwise a democratically elected ruler, irrespective of his reputation and personal conduct, is better than a dictator, who may or may not have a very good personal character and reputation. 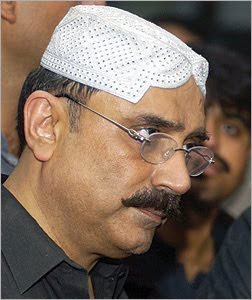 Mr Zardari’s appointment as president after his repeated backtracking of promises and in view of his known reputation had caused a lot of concern amongst many. I was amongst those, who did not conceive his election positively and feared far more problems coming our way. I knew that President Zardari is not going to restore the Nov 2 judiciary and holds personal venom against Chief Justice Iftikhar Muhammad Chaudhry. But he had to bow before the public pressure and restored him contrary to his personal will. In case of General Musharraf when pressure was exerted on him, instead of respecting the voice of the people, he ruined the institution of judiciary on Nov 3, 2007. This is perhaps a perfect comparison between dictatorship and democracy and to prove why democracy, no matter how bad it is, is always better than dictatorship. Later President Zardari also honoured Chief Justice Iftikhar Muhammad Chaudhry’s advice for the appointment of the top judges’ choice men as judges of the Supreme Court and as Chief Justice of the Lahore High Court. The signing of Nizam-e-Adl Regulation by President Zardari is yet again another indication of the negation of his personal views for the sake of bringing peace in Swat. Now he is determined to protect the peace accord to all possible limits. But there are too many challenges the country is still facing for which President Zardari perhaps needs to change a lot more. ISLAMABAD: The collective wisdom of the country’s prime public representative body — the National Assembly of Pakistan — has put its weight behind the Swat peace deal to save the people of the valley from ruthless killing and complete lawlessness, which has been the hallmark of this once the enchanting tourist resort of Pakistan. The parochial view of NGO types, liberal extremists and confused souls has been rejected by those, most of whom are known liberals, whether belonging to the Pakistan People’s Party, the Awami National Party and to some extent even the Pakistan Muslim League. They have definitely played their role of being public representatives and thus should be encouraged and praised. Going well beyond their personal philosophies, ideologies and political thinking, these members of the Parliament supported the peace deal, which in normal circumstances would not have been acceptable to most of them. Their priority was to secure the people of Swat from being pushed back to the pre-Feb 16 situation when innocent people were beheaded, butchered, looted, harassed and even flogged at the whims of a group of armed individuals. The resolution adopted by the National Assembly was unanimous and voted by almost all the political parties. The only exception was the MQM, which too did not oppose it but opted to abstain. After the unanimously adopted resolution of the National Assembly there was no hurdle left for President Asif Ali Zardari to sign the Nizam-e-Adl Regulations, whose implementation is expected to bring peace in Swat. This is no secret that the National Assembly has been involved in this issue only to tell the foreign powers particularly Washington, which has its reservations about the Swat peace deal, that the imposition of Islamic justice system is the will of the people of Pakistan. No doubt a smart move from President Zardari, who for a change has started taking decisions that surprise many. Only on Sunday, he approved the recommendations of Chief Justice Iftikhar Muhammad Chaudhry for key appointments in the superior judiciary. The president, who had given his consent to the peace deal before it was signed between the ANP government in Frontier province and Maulana Sufi Muhammad of Tehrik Nifaz Shariat-e-Muhammadi (TNSM), wasted no time and sanctioned the Nizam-e-Adl Regulations. The recent emergence of a suspected video of 17-year old girl’s flogging by Swat Taliban, had seriously threatened the peace process by adding up the internal as well as external pressure on the president not to sign these regulations. Internally, some of the political parties like the MQM and a number of NGOs and their representatives, and some known liberal extremists did a lot of drum beating on the issue of suspected video and used it to pressurise the government to cancel the peace deal with Maulana Sufi Muhammad. What, however, remained incomprehensible that those opposed to the peace deal had no other option to bring normalcy in Swat, still they were insisting that Nizam-e-Adl Regulations must not be signed and that the federal government should not support the present peace process. There is no answer from any such opposition of the Swat peace deal to the fundamental question then how to bring peace in Swat, save the innocents living there from being butchered, killed and looted, ensure that the girls’ schools there are not burnt and writ of the government is maintained.